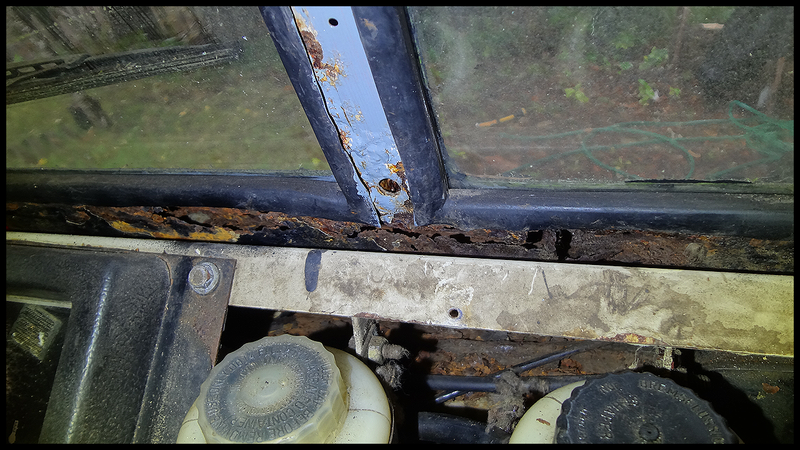 This is why I need to fabricate a new front window frame - THE PORTAL HUB - Pinzgauers, Haflingers, Volvo 303s and more! 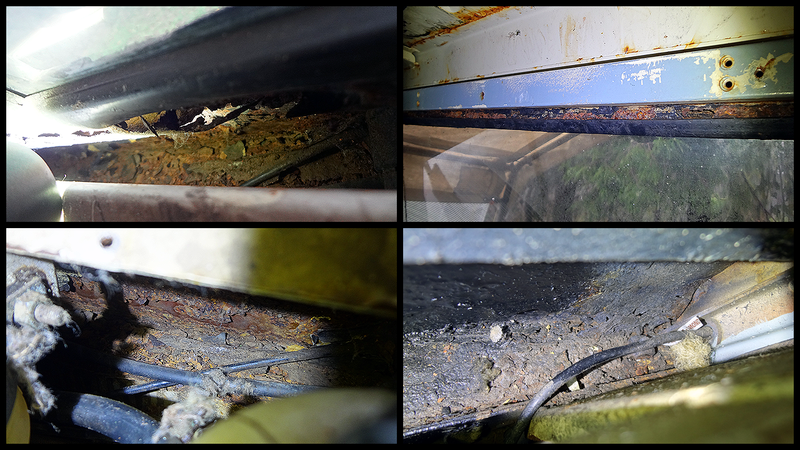 And this is a few images looking between the dashboard and the inside of the front body panel and window frame, showing piles of rusted metal above the radiator. While some of this may be solid still, rather than patch 50% or more I think it would be best to fabricate an entire new window panel and frame. If I do that I can also radius the corners of the windows and eliminate some of the water problems that occur in the corners, something I want to do on all the windows eventually. I'm glad I got to Greg's Volvo before it got that bad. It even came apart nicely. oh wow..I wish mine was going to be that nice. I am hoping the remaining bit under the front frame (the surface shown in your pic across the front) is not as bad as the frame, it does not appear to be. I am also concerned about being able to take it apart when it is that bad, without having to go rogue to take it off and mangle it in the process. Until I can get it inside a proper garage next year I cant really go much farther with it, unfortunately. I want it high and dry if I am going to take it apart. I am saving for the project and really looking forward to the whole process. What about the cross member underneath the cabin usually that's bad also.